Manchester is a major city in England’s northeast. The city and the surrounds are filled with the history of the industrial revolution, which began here and spread throughout the UK and beyond. The oldest railway station in the world can be found here, along with steam train days out. Reserve your campervan rental online before you travel and simply collect the keys from your Manchester airport motorhome rental, campervan hire and recreational vehicle (RV) rentals on arrival. Do make sure to read the rules of the road before you get behind the wheel. In this part of the United Kingdom, you are deep in football territory. The cities of Liverpool and Sheffield are nearby, and together with Manchester have some of the greatest football teams currently playing in the FA Cup, Englands biggest football league. Visit museums to learn the tales of famous players or catch a team playing at their home stadium. The cities of Liverpool, Sheffield and others such as Leeds are also thriving and vibrant modern cities. The industrial northeast of England is a unique cultural point with many heritage sites. The countryside is filled with walking, hiking, mountain biking and rock climbing opportunities, as well as adventure lovers options. There is no end of historic houses to explore and a wealth of birdwatching. There are holiday parks and caravan and camping sites that will accept motorhomes, campervans and recreational vehicles with truly amazing locations and facilities in the countryside surrounding Manchester. Take your campervan hire to Blackpool, the famous seaside town. Once you are settled at the holiday park, set out to explore the town. Enjoy the amusement park on Blackpool Pier and sample the rich culture of the town, which has a vibrant LGBT community that is as much a part of Blackpool as the bricks and streets. Expect to find some outlandish nightlife so bring your dancing shoes! Take your campervan hire to the Lakes District and walk in the footsteps of Byron, Shelley and Wordsworth. The Lake District is England’s largest National Park with over 16 lakes including Coniston, Windermere, Ullswater and Derwentwater; as well as many smaller tarns (small lake). 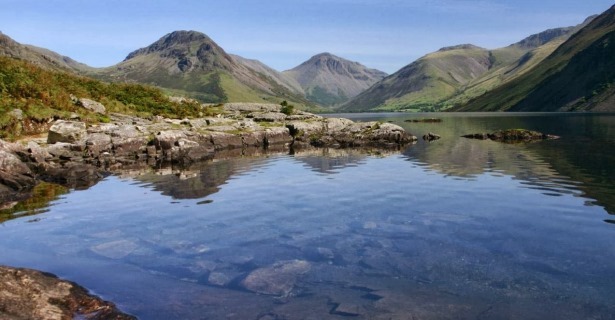 As a result the Lakes District is popular with hikers, boating enthusiasts and outdoor adventurers. Stay a couple of nights in your campervan or motorhome rental, in one of the many holiday parks or campgrounds in the area to explore the region. Making your way back to Manchester UK, you can leave your RV rentals with your Manchester airport motorhome rental and campervan hire agent and simply walk to your check-in desk.